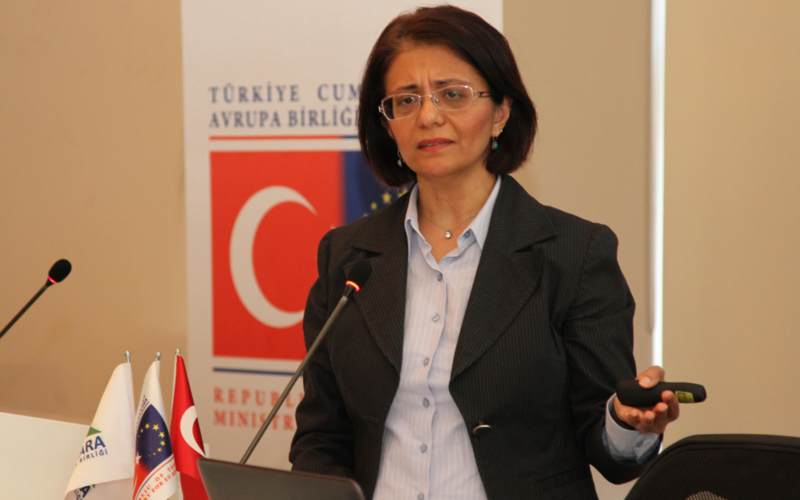 The Horizon 2020 Information Seminar, organized in cooperation with the Marmara Municipal Associations (MBB) and the European Union, was held on January the 30th 2018. Our project partner and follower city of Nilüfer took part in the seminar presenting the Replicate project and explaining the process of becoming a Follower City. More than 70 people, including representatives from 18 different municipalities in the Marmara Region, participated in the Information Seminar. The opening speeches of the seminar were made by the MBC General Secretary and the Head of Social, Regional and Innovative Politics of the Ministry of European Union. These speeches focused on how local governments play an important role in the implementation of the EU’s initiatives; emphasizing that energy efficiency is an issue that many EU countries are facing at the moment with increasing digitalization, and how they are combating it with the introduction of smart city applications thanks to the Horizon 2020 Programme. The seminar began with a presentation of several Programme Opportunities for the Union of Municipalities by a representative of the European Union, and the TÜBİTAK representative, who spoke about Horizon 2020 Support and Award Programmes. During the second session, members of TÜBİTAK gave a little speech on the support of Horizon 2020 projects on Energy and Transportation for municipalities. Some examples of good practices from Horizon 2020 projects on Energy and Transport were also shared. The session came to a close with the presentation of Demir Energy’s founding partner Esra Demir on the Replicate project; which is also partnered with the Municipality of Nilüfer. During this last presentation, the foundations and objectives of the Replicate project were touched upon; together with an explanation of the main outcomes for both Lighthouse and Follower City entities such as Nilüfer, which as a Follower City of the Replicate project, is currently benefiting from the lived experiences from the Lighthouse Cities of San Sebastián, Florence and Bristol; and constructing a replication plan accordingly. Afterwards, the event attendees had the chance to ask their questions during the Q&A session. Events like these give us the chance to inform local governments about the benefits and success stories of our project and the whole Horizon 2020 programme; increasing awareness and ultimately creating better and more prosperous societies.